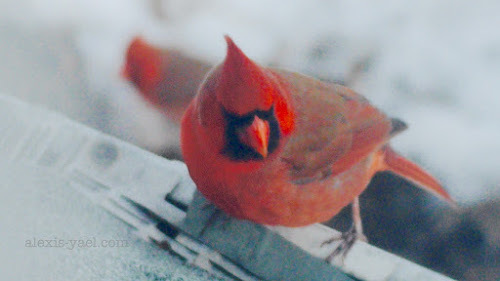 In winters past, I have photo-stalked the birds that live around my house, notably the cardinals and blue jays. Oh, and the sparrows! There are always birds here, it's one of my favorite things about this house. In winter the birds just stand out more. Contrast, maybe, or fewer leaves to camouflage them. So even though I'm not there most of the time, the birds still put on their little shows. And I grab my camera and capture them as best I can. And that's another practice to help me fight the winter blahs.